The country two step is one of the dance styles in the group known as the country western dances. 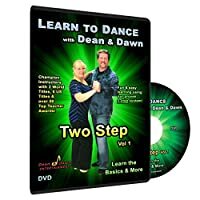 In addition, there are quite a few other dances including the country waltz, cha cha, polka, East & West Coast swing, nightclub two step, cowboy cha cha, polka, schottische and line dancing. Country dance deejays play lots of great music that social ballroom dancers enjoy like swing, cha cha and nightclub two step. However, the most popular country western dance is probably the two step. Additionally, in the last decade swing has risen in popularity in country dance clubs. Country western dancing evolved from other European and Mexican dances in the 1800’s. Moreover, it evolved considerably from its older form to current form. For the most part, it began to take its current form in the mid-nineteen nineties. Country Two Step, also known as Texas two step or just two step was heavily influenced in the early 20th century by ballroom progressive dances like the foxtrot. The two step really took off in the early 1980’s after the movie Urban Cowboy with John Travolta. Furthermore, it continued to increase in popularity through the mid-nineteen nineties along with the country music revival. The United Country Western Dance Council (UCWDC) is an international organization created in 1989 that promotes country western dancing with a host of competitions across the United States and in 20 different countries worldwide. It features both partner country dancing and line dancing events. Eventually country western dance diminished in popularity but it is still danced worldwide today. The UCWDC features many different divisions including various levels of dance by points earned and age categories. For example, there is a masters division for people over a certain age. The country two step is a partner dance usually danced to slow to medium tempo country western music, 160-192 BPM (beats per minute). Like ballroom style dances it starts in a closed dance position but uses many other dance positions and hand holds like sweetheart, wrap, shadow, skaters, and promenade. It was referred to as “traveling swing” in some parts of the United States because it travels counter clockwise around the dance floor and includes a variety of turns and spins including underarm turns, spins, wraps, hammerlocks, cuddles and pivots. This makes it a challenging dance genre to excel in but the basics are fairly simple to learn. The country two step timing is QQSS (quick-quick-slow-slow) or in some regions or by preference some dancers start with slow slow quick quick. Generally, dancers start the dance in closed position and progress around the dance floor. At one time the Leads right hand rested on top of the shoulder of the Follow but in the last decade or so the right hand is held on the partners back on the back of the shoulder or under the shoulder blade. A preferred method of forward movement is to do the slows with heel leads and the quicks with more of a flat footwork or on the ball of the foot but some dancers do not prefer heel leads. Syncopations or timing variations are scattered throughout the dance, for instance, using a QQQQSS while doing a series of fast turns or using split beats to quicken a movement. Additionally, there is also a country western triple two step at country western competitions. Many ballroom dancers started dancing country in the early 1990’s. They introduced many improvements to the older form of the dance genres. The ballroom dancers also started judging organizations and workshops to form guidelines for competitions. The general country dancing population and organizations often adopted these guidelines. For example, country western organizations adopted starting the nightclub two step with a side step on count one. 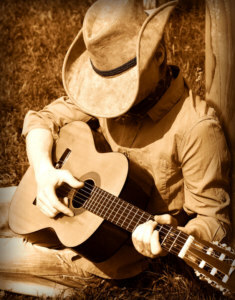 The country two step continued to evolve into one of the finest social dance genres. For instance, the contemporary form includes intricate turns, spins and a smooth flowing movement. Also, it has evolved into a spectacular competition country dance genre. Additionally, many of the country western dancers have also learned the West Coast swing increasing the size and scope of the swing community.